As the global healthcare industry grows, temperature controlled logistics rapidly evolves along with it. Factors such as the ever-changing regulatory requirements, diverse array of biopharma products entering the markets, and new technology emerging daily, are causing companies to face the challenge of constantly adapting their supply chain processes and staying ahead of the curve. Responding to the evolution within the industry, SMi is proud to announce the return of its leading 12th annual Cold Chain Distribution event. Returning to London in December, this year’s event will remain at the forefront of innovation. 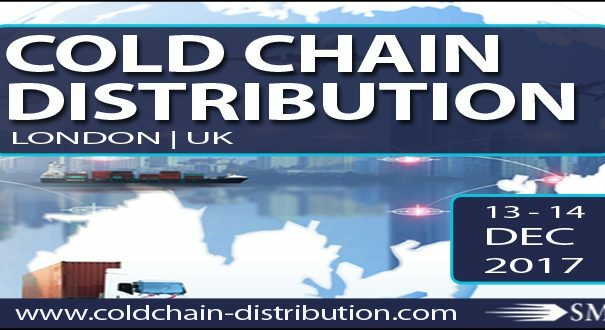 With huge interest from leaders in the field, we have worked closely with an expert panel of speakers to present an agenda that is shaping up to be the best Cold Chain Distribution event. Mark Edwards, Managing Director, Modalis Ltd. There has been a recent surge in temperature sensitive products entering the supply chain and the need for a streamlined temperature controlled supply chain has never been more important. Cold Chain Distribution 2017 looks at why companies must revisit their logistics, quality, and security procedures implemented to ensure they are keeping pace with this exponential growth. The event will look at the fundamental question of how to keep costs low & quality high, while remaining compliant to global regulations.